In the thirty-four years since Hồ Anh Thái set his transcendent novel, The Woman on the Island, on a fictionalized version of the island, Cát Bà has gone from remote wilderness to “must visit” destination in global travel magazines. The landscape changes, however, may be dwarfed by the book’s described and foreshadowed changes to society during and after the post-war period. 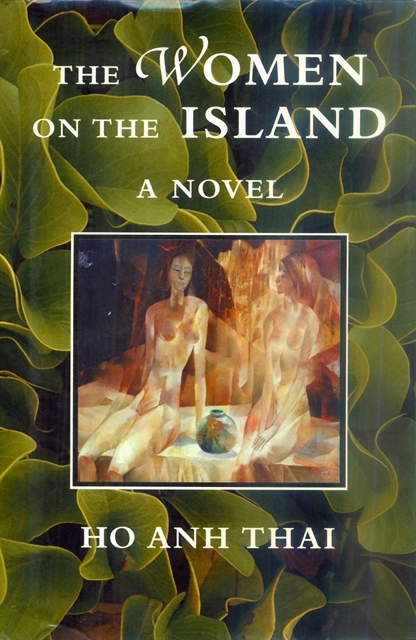 Set in the mid-1980s, The Woman on the Island focuses on the all-female Production Brigade Five, a group of mostly veterans who work for a state-owned forestry enterprise in near-complete isolation. But the deaths of hundreds of thousands of men rob them of their chances to marry or even have offspring and the world again asks them to sacrifice by abandoning their individual desires. Tường, one of the book’s protagonists is a failed artist with a troubled past who finds himself on a tiny island conducting research at a turtle breeding facility. His proximity to the women of Brigade Five results in him keeping a calendar with the optimal dates for impregnating them circled. The women’s decision to break taboos and try for children out of wedlock is an example of the war’s lingering effects as well as a bold act of feminism. Tường finds refuge on the island, in part, because of the character of Hòa, an employer who hires men regardless of their histories. The Women on the Island takes place before the Doi Moi economic reforms and Hòa’s experiences offer a glimpse into an economic system filled with state-owned enterprises (SOE’s). Reading the book invites important ruminations on the current day and examinations of how much has changed in the three decades since it has written. In regards to feminism, the agency displayed by the members of Brigade Five has further improved as women continue to explore professional and personal opportunities, partly set in motion by the legacy of wartime experiences. It’s impossible to not see differences between the economy presented in the book and that of 2019. An even more free-market system has ushered in global influence and innovation via competition. So while public shaming is gone and concepts of meritocracy may have taken greater hold, less informal barriers governing people’s actions and more money to go around has invited increased corruption. While much of the novel focuses on societal shifts and reading it today helps one examine the rapidity of change in the last few decades, elements also suggest humanity is only so malleable. The book opens with and is framed by a story of a group of rebels during the French occupation who had inhabited the island. Forced into sexual chastity, they kill an innocent man carrying bamboo and jackfruit because his load too closely resembles a sexual organ. The bamboo and jackfruit, of course, take root and the island is soon filled with those plants as they have a life force whose “strength nothing could stop”. They serve as manifestations of the urges, flaws and desires lying within all mankind that will come to the surface regardless of time period, government or societal structure, suggesting all changes are superficial, all progress insignificant and at its core, man’s nature remains somewhat fixed. The value of this book as time capsule as well as contrast to the present day is clear, but it's worth briefly noting it’s sentence-level charms. Vietnamese audiences praise Hồ Anh Thái for his unique ability to integrate wordplay including twists on idioms, which sadly does not always survive translation. Phan Thanh Hảo, Celeste Bacchi, and Wayne Karlin did a masterful job creating a seamless English text that allows for his command of language to come through, however. He sprinkles original metaphors and turns of phrase throughout the book such as when the women are brought to action “stirred like an ant’s nest” and gossip is described as “drawing legs on a snake”.